Anyway, we got it together and created our own "official" page, located here. So come on, become a fan, write on our wall (see here for something fun to write about), upload your own photos or even videos (we especially love the ones of babies getting baths with methodbaby, awwww), and get to know the rest of the community. For those of you with even shorter attention spans, we also have a new Twitter feed. 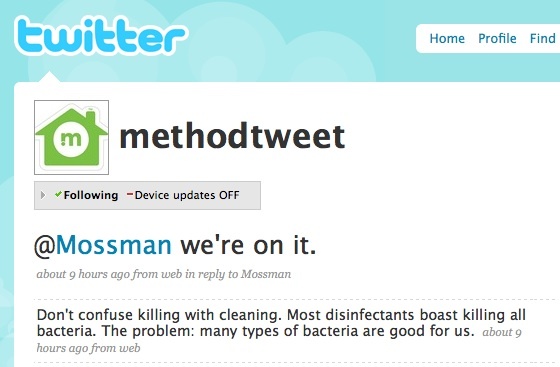 If you're already using Twitter, you can find our feed here: http://www.twitter.com/methodtweet (thanks Bryan H!). If you're not, well, get with it and create an account - it's easy. And you'll get ever more up-to-the minute method news, not to mention know what your friends are doing every moment of every day. Be sure to let us know here what kind of stuff you'd like to see from us in these new venues! 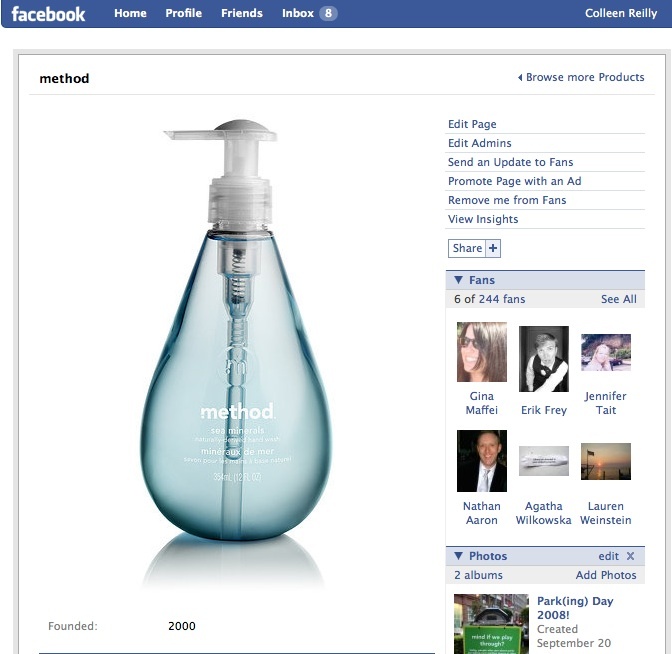 Introducing Marine Naturals personal care! 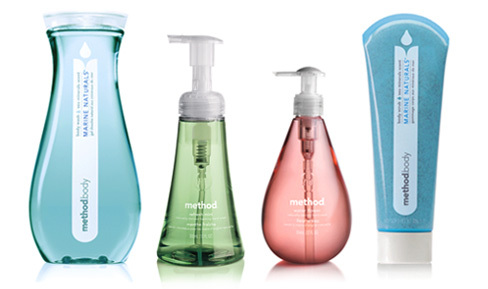 We’re so excited about our newest line of personal care products! 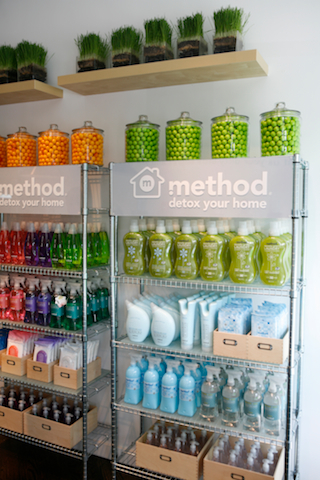 Like all method products, we give you the good stuff – refreshing ingredients like sea salts and kelp extracts – without the bad – like EDTA, which bonds to heavy metals in waterways, or triclosan, an anti-bacterial officially classified as a pesticide by the EPA. In fact, with fragrances like sea minerals, water flower, and refresh mint, it’s so invigorating that it reminds us of our skinny-dipping days. come on, you know you’ve done it too. We’re so sure that you have a good skinny-dipping story that we’ll send out some free Marine Naturals to the person that leaves the best one here in the comments section, or on the wall of our Facebook page by Friday, Oct. 10. Just, er, keep it clean, ok folks? Look for Marine Naturals at Target and other retailers. 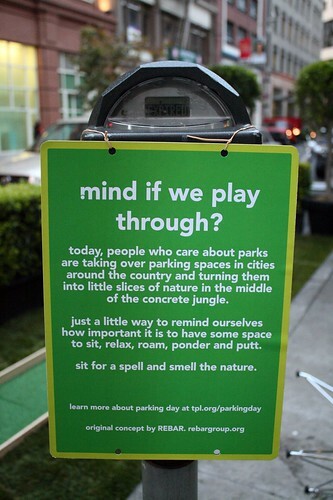 It's all in part to spread the word (without actually saying a word, really) that we need more parks and open spaces in urban cities. 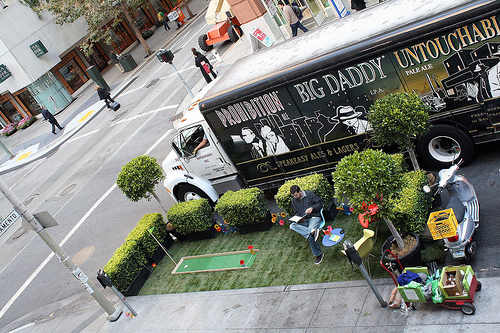 On Sept 19, we'll be participating in Park(ing) Day with parking spots in both San Francisco and Chicago (right in front of our "Detox Chicago" pop-up shop). 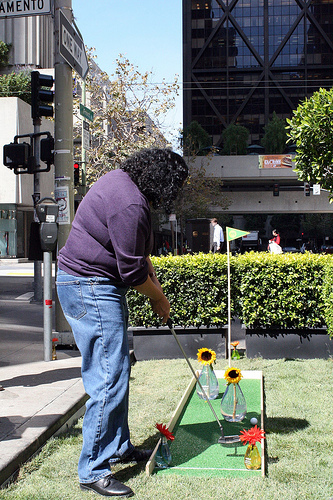 Our temporary green spaces are sure to be temporary slices of leisurely heaven, placed right amongst the bustle of downtown. Since the spot is only temporary, we're also working to make sure that none of our materials will go wasted at the end of the day. 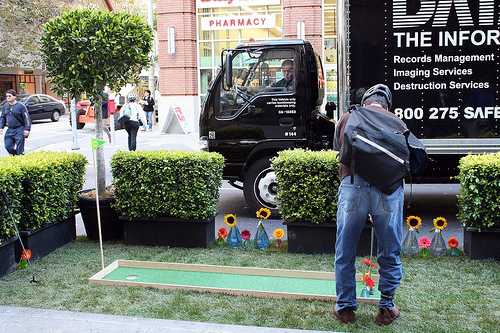 All materials will be donated, recycled or reused afterwards. 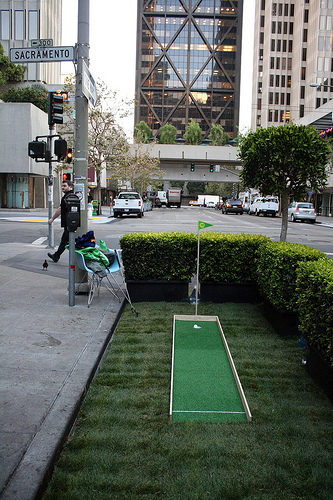 We haven't quite landed on a design just yet so be sure to tell us which Park(ing) Day design you like best below and we may, just may, pick that one to build. 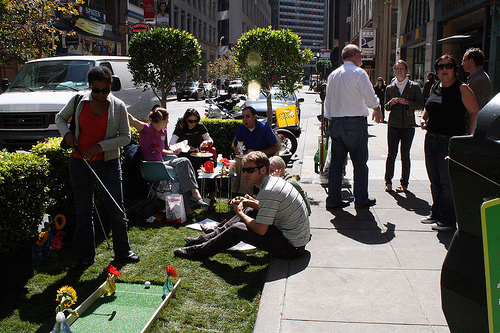 If you're in either location that day, be sure to stop by, relax, chat with us or just enjoy the patch of green space. Oh and if you've got spare change, we may ask if you can break a buck or two. 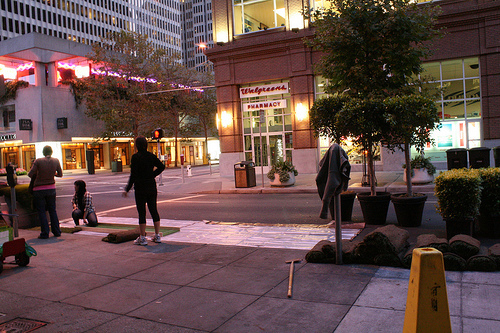 Where in SF: Front Street (@ Sacramento St) - Map It! 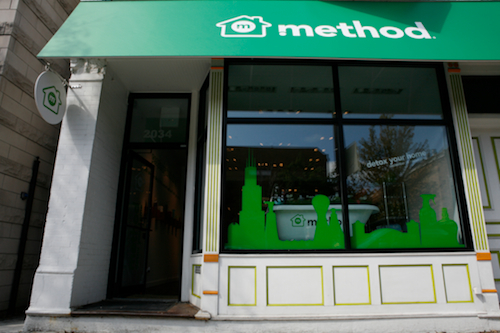 Where in Chicago: 2034 N Halsted (@ W Armitage Ave) - Map It! 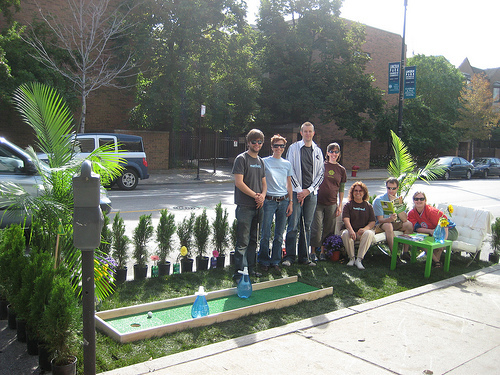 To learn more about Park(ing) Day and REBAR, click here. Look out Chicago - we're comin' your way! 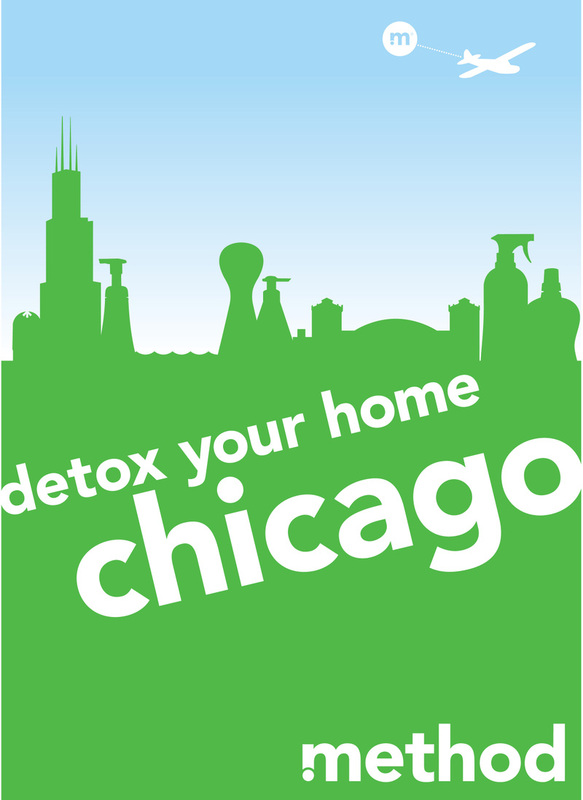 We’re heading out to Chicago’s Lincoln Park neighborhood Monday, Sept 15 to bring yet another one of our pop-up shops and help detox the big “Windy City.” We’ll be there through Sunday, Oct 12 so be sure to stop by and check us out before then. 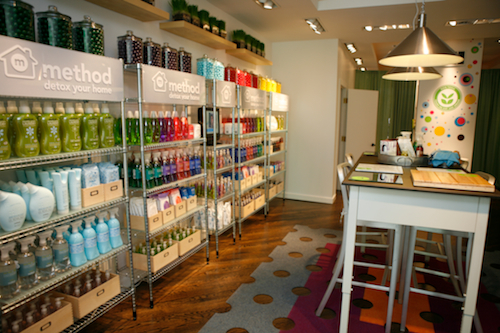 Along with some new mix and match kits, we're bringing our usual aroma stations and cleaning confessional booth for all your dirty little secrets. 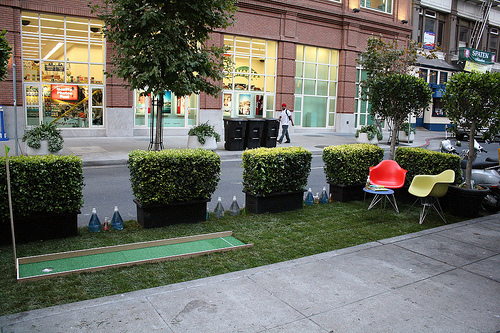 Better yet, drop by our shop Friday, Sept 19 to check out our method-made park out on the street in celebration of Park(ing) Day. Curious are you? You'll just have to come and see for yourself. 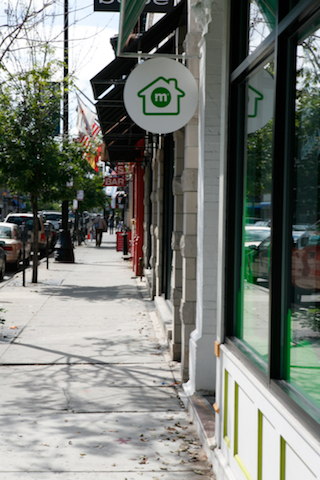 Where: 2034 N Halsted (at Armitage) Map it! 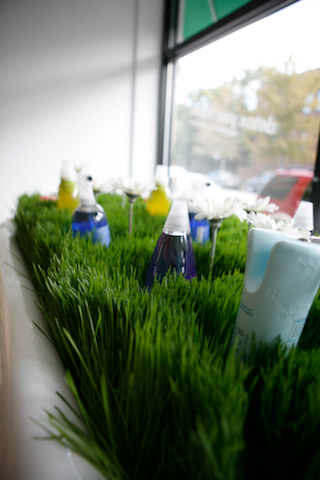 And psst… whisper the password “the windy green city” to us and we’ll send you off with 10% off any bundle of products.